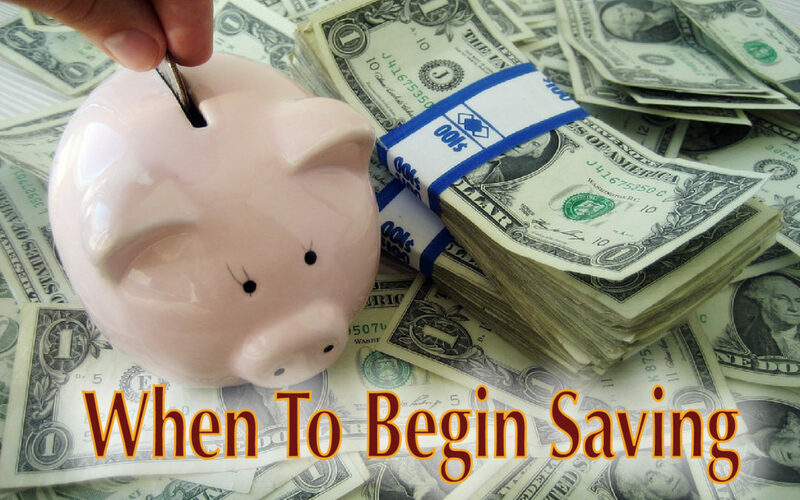 When to Begin Saving | Mason Financial Services, Inc.
We are living longer. Some believe that the first person that will live until 150 is alive today. It is not unreasonable to believe that people will spend upwards of 50 years in retirement – more years than they spend working. What kind of life will they lead? What options will they have to get the most out of all of those decades? The decisions they make today will have a huge impact on their lives later. When I speak to people about their retirement, I often don’t get much interest from the under 40 crowd, but once people pass that mile stone, they become more interested. By 50, the interest turns to fear. That’s a shame. I wish more parents would speak to their children about the importance of a savings habit and starting young. I understand how far away it can seem to a young person. My hope in writing this article is to share the benefits and importance of starting today. Many don’t know how to get started. The short answer is it doesn’t really matter. There are many investment companies available online and in person that would be happy to help you get started. Even a bank is a fine way to take the first step. Do you open a Roth or a traditional IRA? A general rule of thumb is a Roth, if you don’t need the present tax benefits, an IRA if you do. The Roth allows your money to grow without ever paying tax on the earnings. An IRA allows you to take a tax deduction for the contribution in most circumstance, allowing you to save more than you otherwise would be able to. Now that we’re past the boring stuff, let’s talk about the fun part. Why start saving today? Why not in 10 or 20 years when you’re making more and can better afford it? The selection of proper investments is beyond the scope of this article, but for purposes of our example, let’s use the S&P 500 index. The very long term historical return from 1928 through 2014 is 10%. Nobody knows what the future holds, but we’re simply looking for the impact of starting early. MEET YOUNG, MIDDLE, and LATE. We have three savers, we’ll call them Young, Middle, and Late. All three put exactly the same amount of money in for exactly the same period of time – $6,000 (Note: the present limit is $5,500, but that will likely go up by 2017) a year for 25 years. All three invest in the S&P 500 index and earn 10% and all three retire when they’re 65. The only difference between the three is what age they start. Let’s start with Late. Late invested a total of $150,000 and retired with $663,429 – a gain of $513,429. Which proves that is really is never too late. The monthly equivalent of a car payment can make the difference between a meager retirement and being able to do the things you would like to. Moving on to Middle, the same investment that provided Late with $663,000 provides $1.8 million. If that’s not eye popping enough for you, our very responsible Young retires with close to $5 million. From $150,000. Einstein is said to have said, “The power of compounding interest is the most powerful force in the universe”. This is what he meant. Ensen Mason may be reached, here. The above article is intended to provide generalized financial information designed to educate a broad segment of the public; it does not give personalized tax, investment, legal or other business and professional advice. Before taking any action, you should always seek the assistance of a professional who knows your particular situation for advice on your taxes, your investments, the law or any other business and professional matters that affect you and/or your business.